If the Brits and the Americans are two countries separated by a common language, then the Chinese and the Americans are two countries unified by a common love of SUVs. At the same time that we’re writing up how much the US market is eating up SUVs, the same is being written about China. Retail deliveries of passenger vehicles increased by 16 percent to 3.49 million units in January and February, the China Passenger Car Association said on its website today. Sales of SUVs and minivans surged 66 percent and 20 percent, respectively. The first two months of sales data are taken together to rule out the impact of the week-long national Lunar New Year holiday, which falls on different days each year. This isn’t just a one-way street. 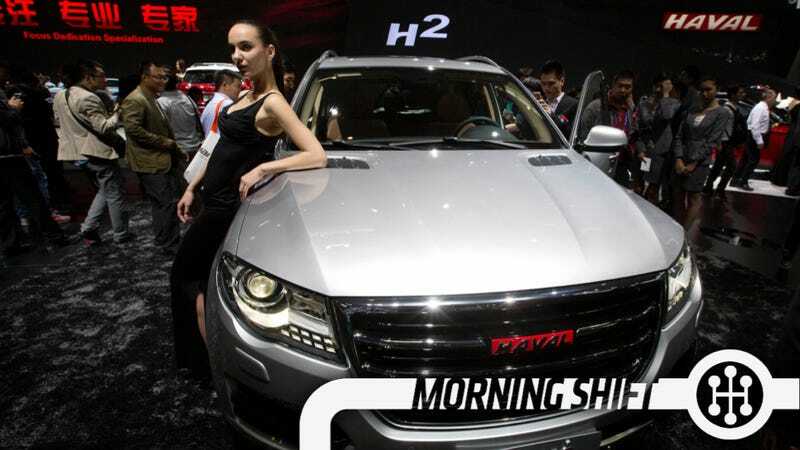 While we’ve exported the idea of minivans and SUVs over to China, they’ve been exporting a steady stream of vehicle ideas to us. Most notably, the long-wheelbase sedan had fallen out of popularity in the United States just as it was gaining popularity in China. Alas, Americans like big rear ends as much as anyone, and those same vehicles have been imported back to the United States. While Chinese and American consumers have tastes that run similar, there is a bit of a difference in demand for electric cars. Specifically, in demand for Teslas. It’s not that people don’t like the way Teslas work (although an SUV seems like a safer bet for China), it’s that old charging infrastructure issue, which is a bigger fear in China than in the United States. Analysts say that despite generous subsidies from China’s central and local governments and exemptions in some cities from stringent license-plate restrictions, many consumers remain unconvinced because they consider such cars comparatively expensive and they worry a lack of charging infrastructure could make driving a hassle. While Tesla’s Chinese buyers tend to be wealthy and less price-sensitive—prices in China start from around 680,000 yuan, or about $110,000, according to the company’s website—potential buyers in China have expressed concerns about difficulties accessing charging stations. Those worries were behind the company’s disappointing sales in China late last year, Chief Executive Elon Musk said in January. If anyone can overcome that problem’s it’s Elon Musk. I don’t know that there’s a single GM CEO since Alfred Sloan that anyone looks back on with the same kind of awe that we do Lee Iacocca or, soon, Alan Mulally. Can Mary Barra finally be that CEO? One of the big differences between Barra’s regime and prior administrations, according to Reuters, is the company’s commitment to actually getting something out of their investments and to transparency. During the years leading up to its bankruptcy in 2009, GM tolerated chronic red ink in North America and Europe, nursed along flops such as the Pontiac Aztek and pumped up U.S. market share through unprofitable sales to rental fleets. Monday’s agreement commits GM to disclosing to investors on a quarterly basis how its return on capital stacks up to the 20 percent target, a mechanism that should give investors clear warning of a return to old ways. Already, Barra and her senior executives are showing less patience with losers. An overhaul of internal financial controls led by President Dan Ammann has given GM executives more detailed data than ever about the profitability of specific models or marketing strategies. That 20% target is ROIC or Return On Invested Capital, and is a measure of how productively a company is using its cash. “It will be a tricky one with the UAW,” said Maryann Keller, an independent auto consultant in Greenwich, Conn. “GM just said they will give shareholders $5 billion in dividends and a $5 billion buyback. The union will want to be paid.” UAW President Dennis Williams already said he wants a raise for entry-level workers who max out at $19.28 an hour and for the senior factory hands, who make $28 hourly and haven’t had a raise for at least nine years. “The strategic process outlined today leaves room for our members to prosper, strong product investment for customers and a healthy well positioned company,” Cindy Estrada, the union’s vice president in charge of relations with GM, said in an e-mailed statement. The problem with building a fortress balance sheet is that it turns everyone else into attackers. I think there’s some genius to the approach that GM’s compensation fund director Kenneth Feinberg has taken. Rather than announcing some big number of deaths related to faulty ignitions, the number just slowly climbs, week after week, until we all start forgetting about it. I’ve been reporting on this story with everyone else for months and yet, honestly, I’ve lost a little perspective of it. These are 64 individual human tragedies (not to mention the 108 serious injuries), but it’s all relative. Robert Kearns, who patented a design for a type of windshield wiper and later won multi-million dollar judgments against Chrysler and Ford for using his concept without permission, is born on March 10, 1927, in Gary, Indiana. Kearns’ invention, the intermittent windshield wiper, enabled wipers to move at timed intervals, rather than constantly swiping back and forth. Intermittent wipers aided drivers in light rain or mist and today are a standard feature of most cars. Kearns’ real-life David versus Goliath story about taking on the auto giants was made into a movie titled “Flash of Genius” that opened in 2008 and starred Greg Kinnear. Neutral: Do You Want Any Chinese Cars? Would you want to bring any American cars over there?